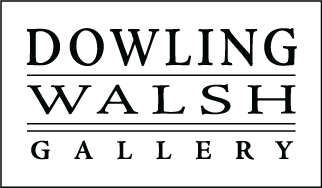 The Bo Bartlett Center, an ambitious project fifteen years in the making, is set to open on Thursday, January 18th, 2018, at CSU's Corn Center with a public noontime ribbon cutting ceremony by University President, Dr. Chris Markwood, Dean of the CSU College of the Arts, Dr. Richard Baxter, and the Center's Executive Director, David W. Houston. Following the ribbon cutting, several multi-disciplinary community events will take place in the Center throughout the afternoon; and an invitation only reception is scheduled for the evening. Designed by Seattle-based architect Tom Kundig of Olson-Kundig, the 18,500 square foot facility will serve as a center for art and creativity that is at once a national arts institution and a community-based service organization, as well as exhibition space for both regional and national artists. 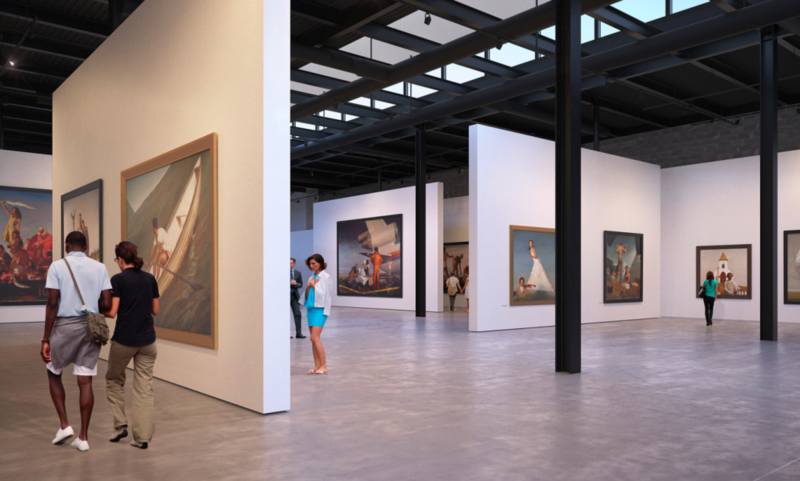 In addition to featuring a retrospective of Columbus native and celebrated American Realist painter Bo Bartlett's large scale works, some of them never-before-exhibited, an ancillary group show will open titled Peers & Influences in the Center's Visiting Artist's Gallery that is adjacent to the Main Gallery. Bartlett, who is recognized as one of the leading figurative painters of his generation, reflects in his work his upbringing in a small, southern town where storytelling was an important part of life and tradition. His complex, mural-scale figurative paintings are deeply laden with personal history, and invite viewers into the action while drawing upon the strongest elements of storytelling: mythology, legend, and wonder. The Peers & Influences exhibition is Bartlett's nod to the numerous artists with whom he feels a kinship, and will include works by nearly thirty artists, from wife Betsy Eby to both Andrew and Jamie Wyeth. Bartlett and Eby co-curated the show, which marks the first time that many of the artists have been exhibited in a contemporary art setting in the Southeast. I look forward to the opening of this unique cultural institution in the College of the Arts at CSU, said Houston. We will work to add to the many unwritten chapters of the history of American art while continuing to develop our deep commitment to innovative community service.